Modeled after the proven and effective Pimsleur™ method of language learning, Fluent Penguin conversational collections employ context-driven recall techniques to help you anchor new vocabulary and phrases to the situations in which you will use them. 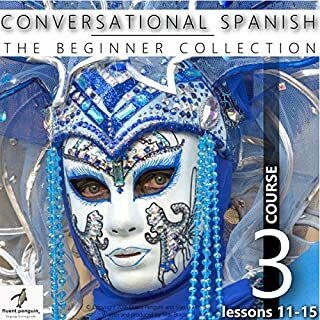 All lessons are in audio format and use subtle repetition and meaningful associations to maximize retention of new information. Each collection consists of conversations about common topics, ranging from work scenarios to current events, leisure activities, and travel. 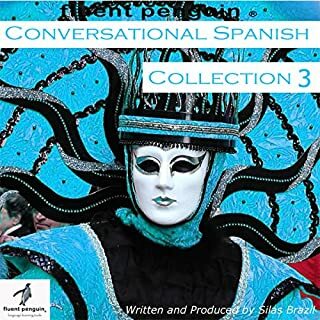 Each statement in a conversation is first narrated in English, then spoken by native voice actors in a variety of Mexican, European, and Central and Southern American Spanish accents. 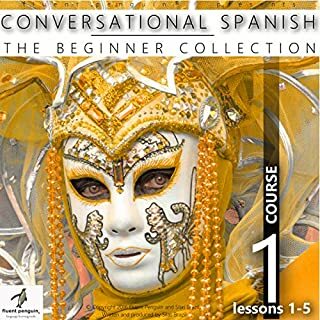 Time is provided after each statement for you to repeat aloud and hone your pronunciation. 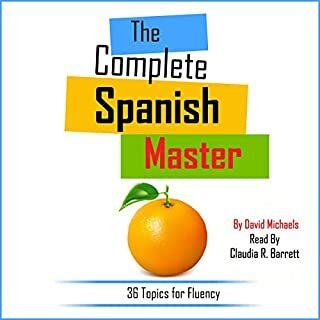 Yes, it's been a great tool for practicing my Spanish and getting better at listening. The stories are about random topics, just everyday stuff people might chat about. "The Wedding" was rather funny. I can see now how the series is taking me into more and more complex sentences and vocabulary. It's not difficult for me now to handle sentences with multiple tenses, objects, and verbs, which is great because that is how people really talk to each other!